Parkinson’s Disease is well and truly on the radar in Ocean Grove this weekend. Not only is the town hosting another Light of Day, Parkies at the Pavilion will also take place. 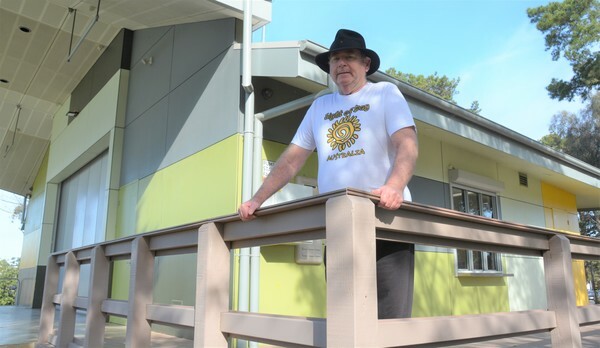 “We knew there was going to be a lot of Parkies around on that weekend,” peer group co-ordinator for Young @ Park Barwon Region Mike Atkinson said. Parkies at the Pavilion will feature special guest speakers Associate Professor David Finkelstein, Richard Gimmett from the Light of Day Foundation and Emma Collin. Associate Professor Finkelstein is a board member with Parkinson’s Victoria and chair of the World Parkinson’s Day committee. There are 27,000 people living with Parkinson’s in Victoria. The event is free to attend and is open to people living with Parkinson’s, family members and friends. Afternoon tea will be provided. Parkies at the Pavilion will be Saturday 22 July, from 2pm to 4pm, at the Ocean Grove Pavilion, corner of Presidents Avenue and The Avenue. For further information, contact Parkinson’s Victoria via info@parkinsons-vic.org.au or phone 8809 0400.